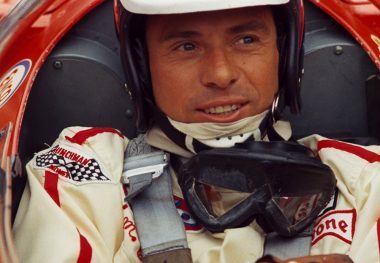 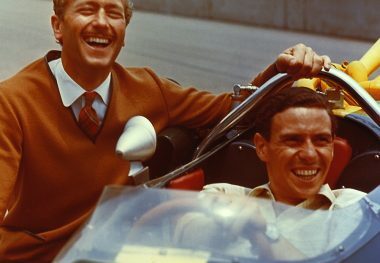 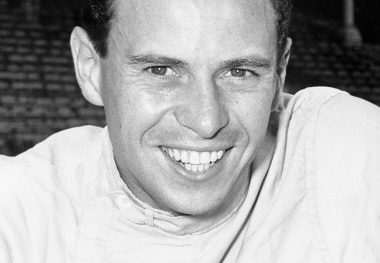 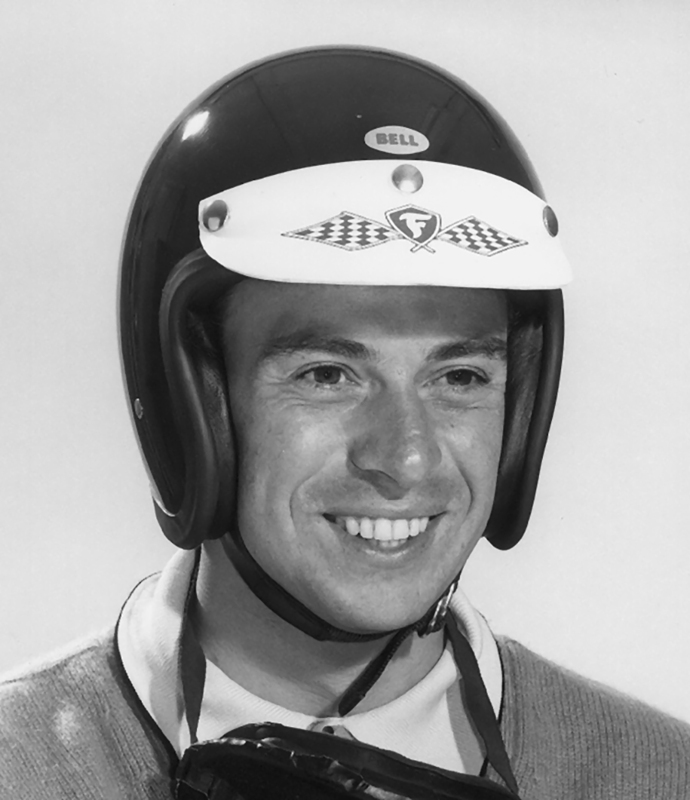 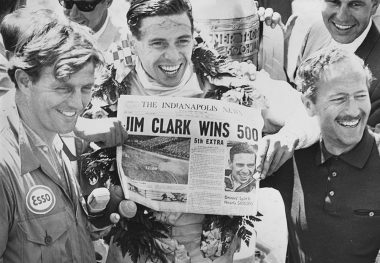 JIM CLARK, the 1965 Indianapolis 500 race winner and Grand Prix World driving champion in 1963 and 1965, scored 25 Formula I Grand Prix victories during his short career. 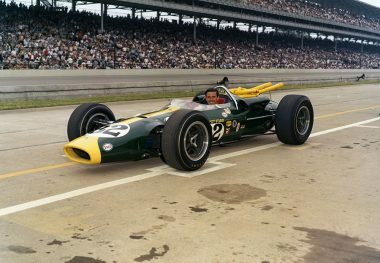 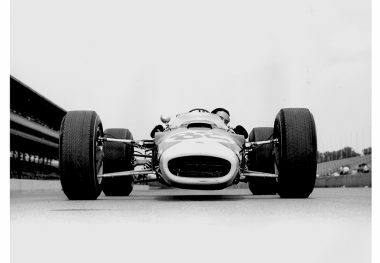 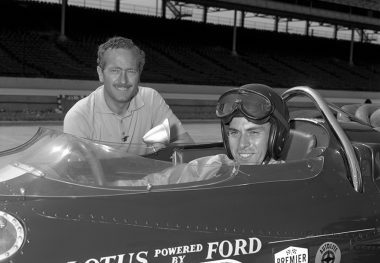 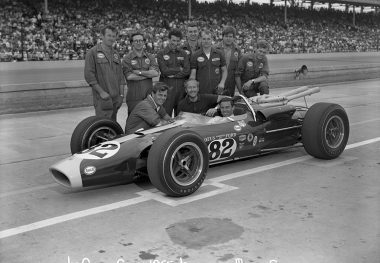 His Indianapolis triumph came on the third of his five appearances in the Indianapolis 500; he also finished second in 1963 and 1966. 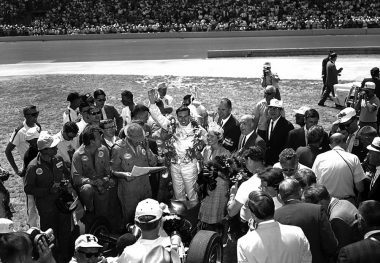 He set new one-lap and four-lap qualifying records on two occasions and in all but one of his Indianapolis races he led the field at some stage for a total of 298 leading laps. 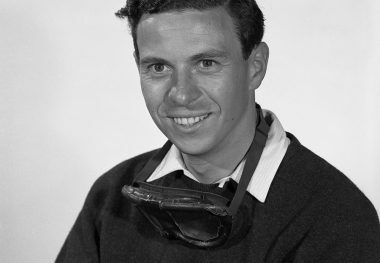 Although his activities in United States Auto Club races were limited by his heavy Grand Prix schedule, he also set one-lap qualifying records at the Trenton, New Jersey, and Milwaukee, Wisconsin, race tracks in 1963 and led every lap of the Milwaukee 200-mile race that year. 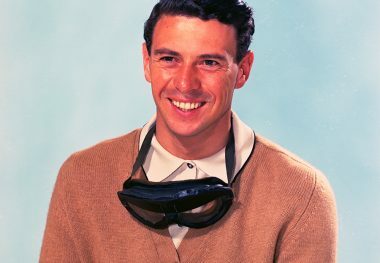 Many of his Grand Prix victories were “flag-to-flag” affairs, and it is quite notable that while having won 25 Grand Prix races, he took second place only once, in the 1963 German Grand Prix. 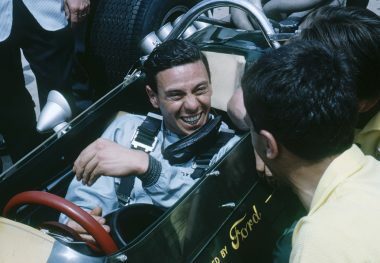 He was fatally injured on April 7, 1968, during the Formula II race at Hockenheim, Germany.